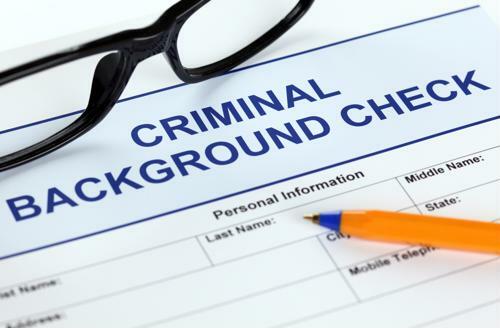 Background checks of applicants are a standard component of the recruiting process for employers. This includes their work history, where they went to school as well as more personal review, such as whether they've ever committed a crime. But in what may be viewed as an about-face from previous policies, more organizations are being more inclusive to job seekers who have been in trouble with the law. The U.S. Chamber of Commerce, National Restaurant Association, American Staffing Association and Koch Industries are just a few of the groups whose officials have attached their signatures to a national pledge that seeks to give people with criminal histories a fresh start. The aptly titled "Getting Talent Back to Work" is a nationwide initiative that aims to improve employment opportunities for people formerly incarcerated. The vast majority of men and women who are sentenced to prison will eventually be released. The average year sees 650,000 former inmates re-entering society, according to data maintained by the Society for Human Resource Management. Successful assimilation can be achieved by giving them a path forward, stressed Johnny Taylor, SHRM CEO. "This is a group we, as business leaders, cannot afford to overlook as 1 in 3 adults in the United States currently has a criminal background," Taylor cautioned. "Not only is it the right thing to do - to give a deserving person a second chance - but it is becoming imperative as businesses continue to experience recruiting difficulty at an alarming rate." Social media is one of the more common informal ways employers look into potential hires' track record. And criminal histories raises red flags, as 30 percent of businesses in a recent CareerBuilder poll said learning of run-ins with the law led them to avoid hiring a particular applicant. However, given the effectively full national employment rate - less than 4 percent of Americans are without a job, based on the latest figures available from the Labor Department - the pool of available workers has been quite shallow for well over a year now. Businesses that prioritize inclusiveness can broaden their net, thus filling open positions sooner. Mark Holden, senior vice president and general counsel for Koch Industries, said the initiative has the potential to be a win-win for everyone involved - businesses, customers and workers. "Our nation just took a major first step toward helping people who want an opportunity to transform their lives - now we're pledging to take the next step," Holden explained. "Koch is incredibly proud to offer second chances to qualified people with a criminal record and now, thanks to SHRM, more businesses will have the tools needed to hire these individuals." Holden hastened to mention that this coordinated effort will help make communities safer and families stronger, not to mention the workforce. Legislatures are drawing clearer distinctions between serious and minor crimes, including decriminalizing certain types of activity that were once deemed unlawful. Marijuana possession might be the best example. According to the National Conference of State Legislatures, 10 states have legalized modest amounts of cannabis for recreational usage. Colorado and Washington State were the first to do so in 2012, but several others have followed since, including Massachusetts, Maine, Michigan and Nevada. Hiring managers are focusing more on job specific qualifications potential hires bring to the table rather than where they've been. Indeed, 82 percent of respondents in SHRM polling said applicants with criminal track records were every bit as hirable as those without them, assuming their skill sets were equivalent. Taylor said that with states and the justice system taking second look at what actions are prosecutable, business leaders must give people who've made mistakes the second chance they deserve. ©2019 Personnel One. All rights reserved.